Everyone has a bad skin day from time to time. My skin is quite clear with a few blemishes. Now and again I will get a bad break out usually around my chin area. This is the only area I get breakouts for some reason. My skin is quite oily which iv learnt to manage with the use of certain products. I remember years ago if you got a spot you would cake it in makeup thinking this would hide it but infact it showed it more. For those bad break out times here are the products and techniques iv found work best to hide them and also get rid of the breakout fairly quickly. Before bed you notice you have a bad breakout coming or just a single spot? Firstly make sure your skin is clean. I love to use Witch’s Foaming face wash which is great and especially for bad skin. Next you need to moisturise. Find one that suits you and your skin type. For me its Clean & Clears Dual Action Moisturiser which is oil free and works perfect. I apply this morning and night. Next step before bed apply a small amount of Sudocrem on top of the spot and leave it overnight. Iv found Sudocrem is amazing and helps reduce the spot size quickly. Next up is makeup. If you read my blog you will know I like full coverage but when you have bad skin or a breakout applying a heavy foundation isn’t what you need. Firstly I apply a primer which im loving Urban Decays Primer Potion. Next iv recently come across Seventeens BB cream which advertises to improve skin within 4 weeks. I apply this all over my face using my fingers and it gives your skin a nice glow. I got this in the shade light which is perfect. I then apply concealer under my eyes as normal. Lastly as I prefer full coverage the BB balm is extremely light coverage but blends out the redness and blemishes so I apply Mac’s Studio Fix Powder Plus Foundation using my Real Techniques powder brush. I press this into my skin rather than sweep and it gives me a flawless look without using heavy foundation. 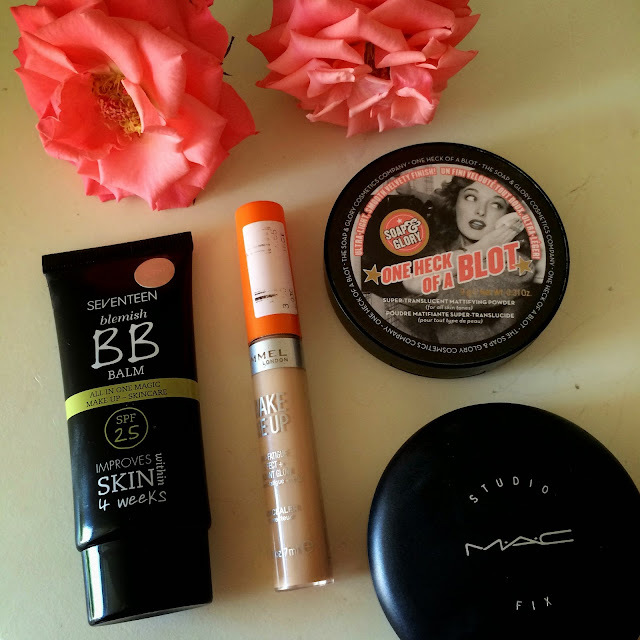 As I have oily skin I may need one touch up of powder which I use Soap & Glory's One Heck of a blot. Doing this lets the spots breathe and doesn’t clog them but you still have a flawless face. I especially done all of this over the past few days and its helped a lot. 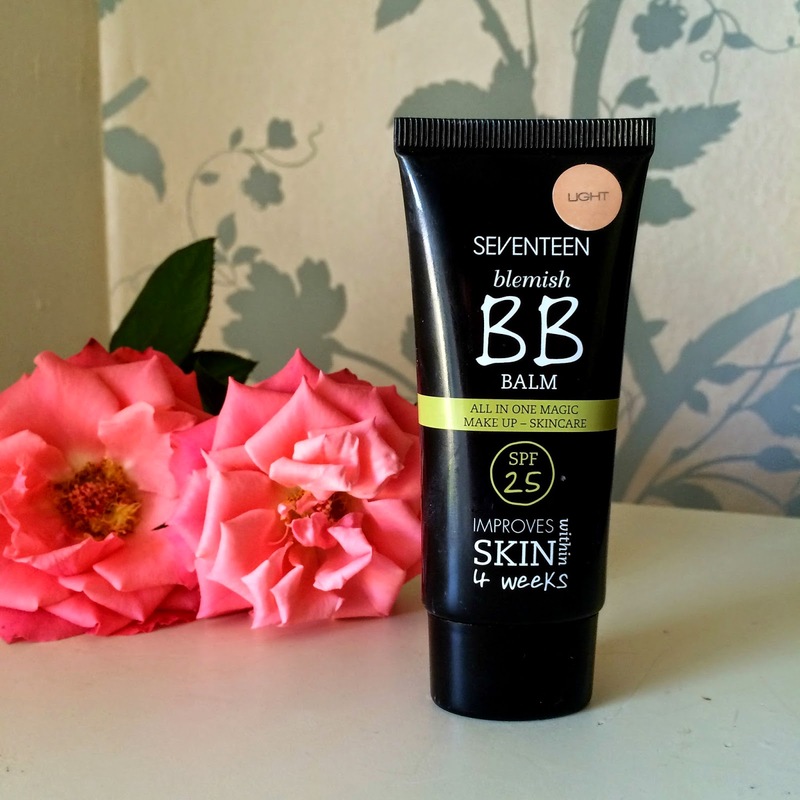 Iv never been a fan of BB Balms or creams but im so impressed by this Seventeen one and its cheap retailing at £6.99. Your blog is amazing. I've never tried this bb cream, or bb cream at all. This Witch’s Foaming face wash seems amazing, I have so much oily skin and as I can see this is super for oil control, definitely have to try this. 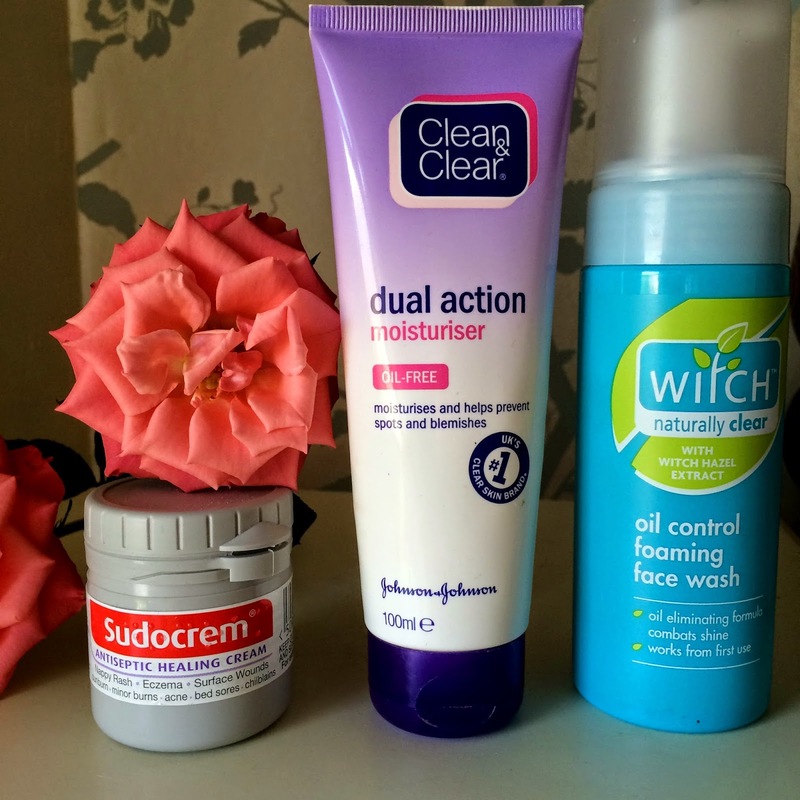 Great post - I swear by Sudocrem, it really does work miracles! I used to love the clean and clear moisteriser but I stopped using it.. think ill need to go back to it! Great post, I love seeing what other girls skin care routines are! I will definitely be keeping my eyes open for the Seventeen BB cream! Great choices! I love Guerlain Meteorites for bad skin days!